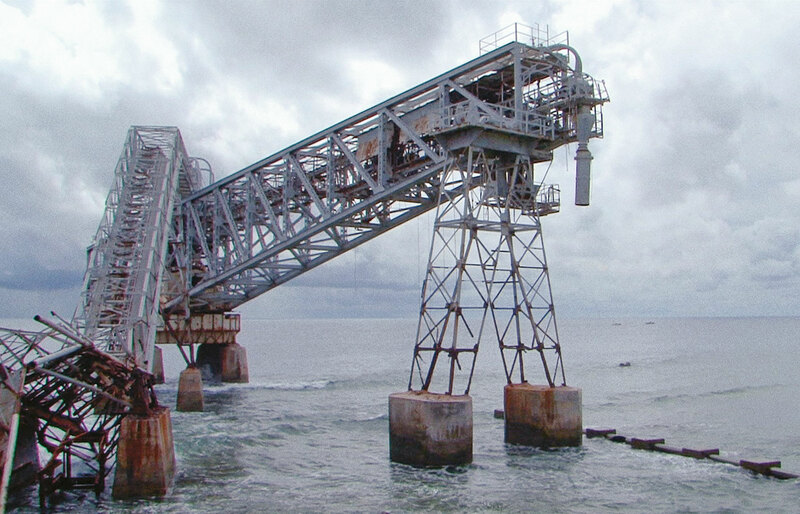 August 28, 2005. 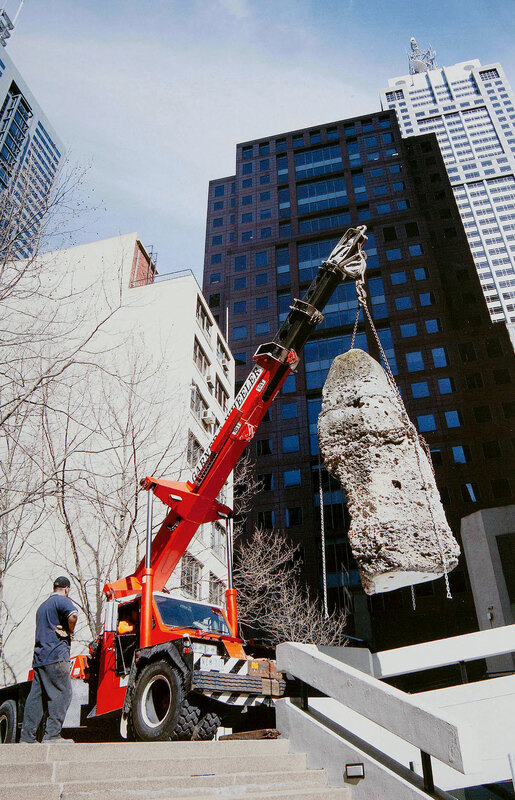 The Limestone Pinnacles at Nauru House in Melbourne, Victoria in the process of being relocated to Flinders. Photographer: Peter Glenane/Newspix. Copyright: News Corp Australia. 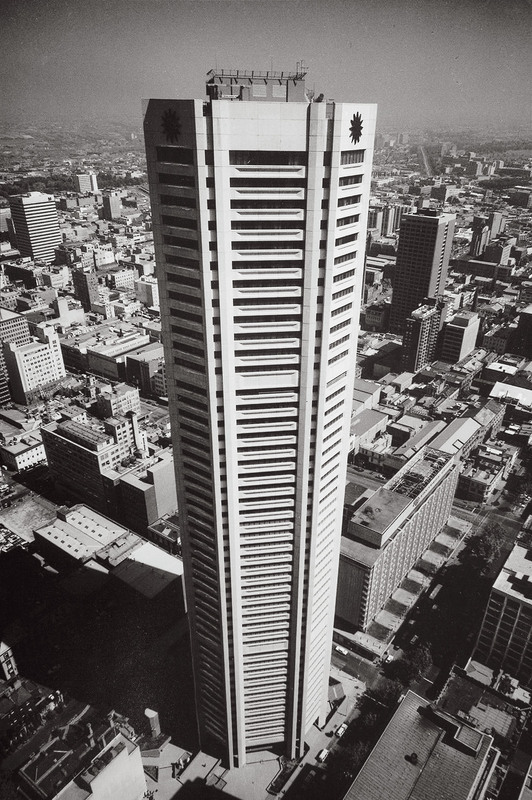 Nauru House, 80 Collins St, Melbourne, Victoria, Australia, 1977. Photographer unknown. 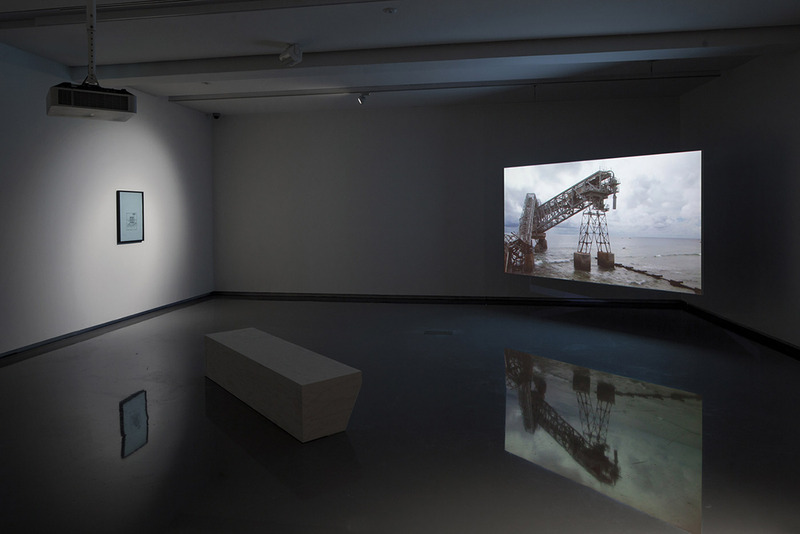 Collection of the Museum of Estonian Architecture. 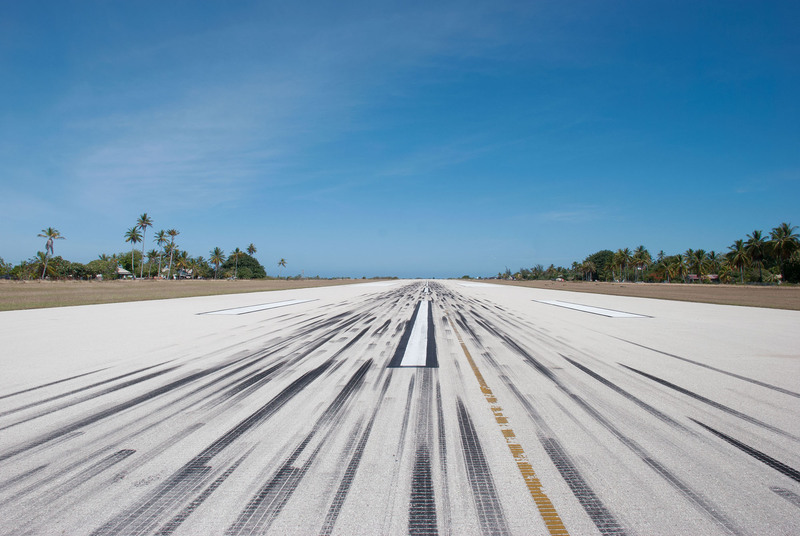 Nicholas Mangan, Tarmac at Nauru International Airport, 2009. 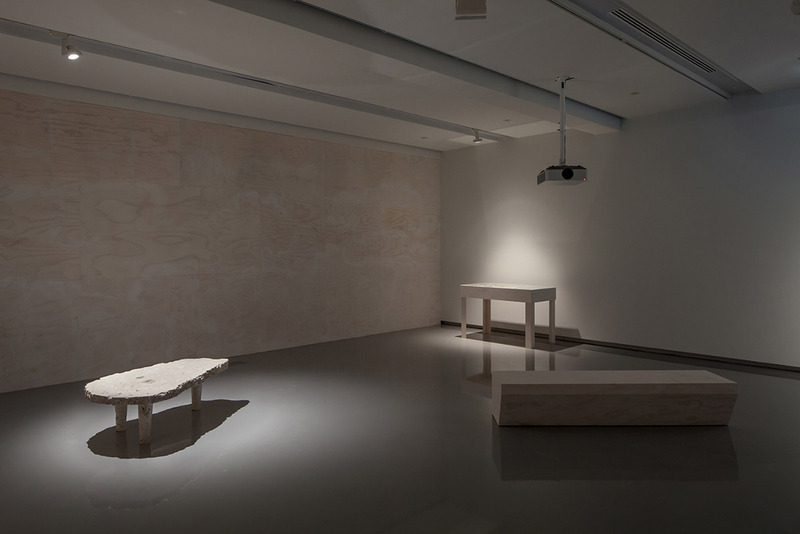 Nicholas Mangan, Proposition for Dowiyogo’s Ancient Coral Coffee Table, 2009, coral limestone from the island of Nauru, wooden travel crate, 60 × 60 × 95 cm. 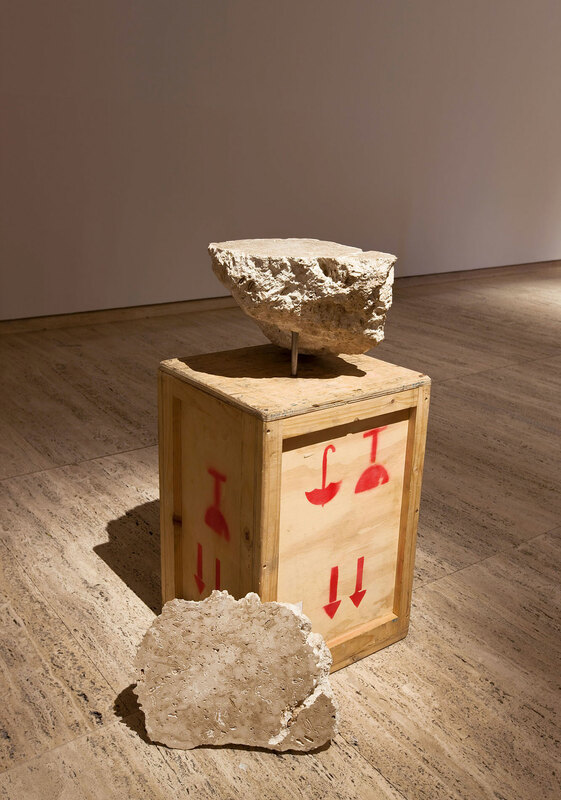 Installation detail, Between a Rock and a Hard Place, Art Gallery of New South Wales, Sydney, 2009. Photographer: Carley Wright. 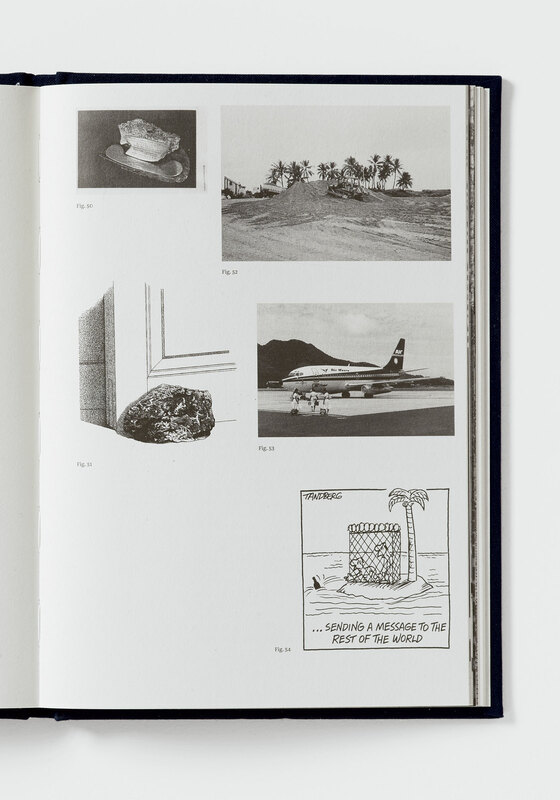 Pages from Nicholas Mangan: Nauru—Notes from a Cretaceous World (Melbourne: The Narrows, 2010; designed by Warren Taylor). Reproduction photographer: Matthew Stanton. 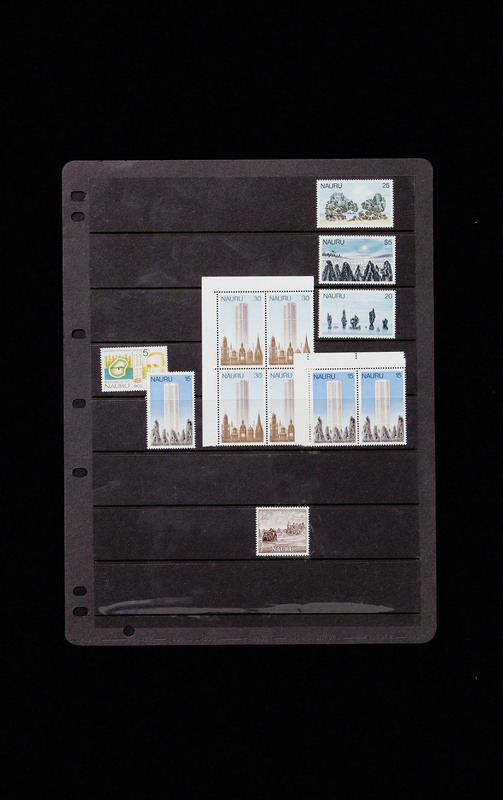 Nauruan postal stamps. Photographer: Andrew Curtis. Collection of Nicholas Mangan. 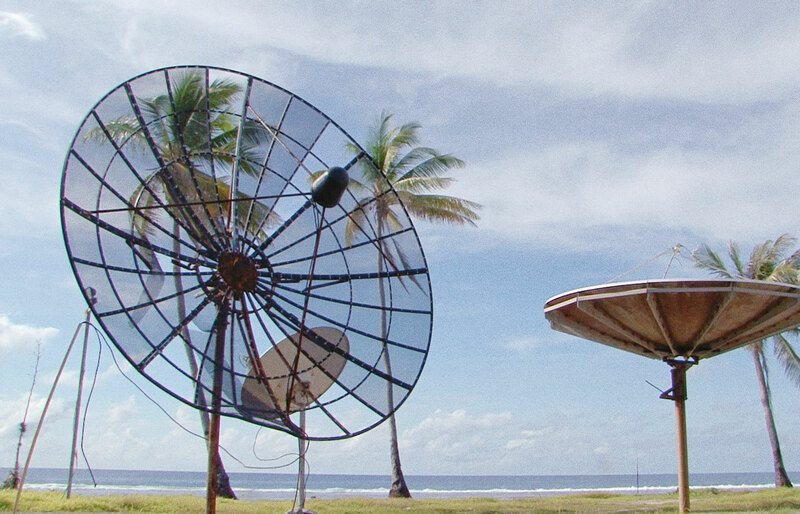 This project attempts to enter into the history of the island Republic of Nauru by completing a proposition but forward by the former president Bernhard Dowiyogo. Lying on his death bed in a Washington D.C hospital in 2003, at the time of Nauru's imminent bankruptcy, Dowigyogo was quoted by an American reporter as saying that his plan to save Nauru’s ailing economy was to turn the remaining coral rock on the island into ancient coffee coral tables. These were to be sold on the US market. Dowiyogo passed away before his project could be realized. 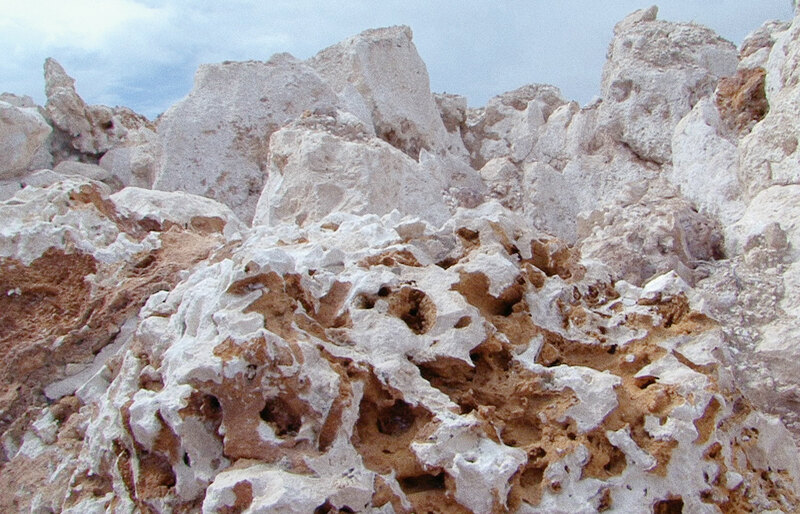 The rock used in Dowiyogo’s Ancient Coral Coffee Table was sourced from Melbourne, Australia; the exact coral limestone pinnacles which had been shipped from Nauru during its 1970s hay-day. The pinnacles were installed in the forecourt of the high-rise Nauru House, which the country had built with money made from the strip-mining and selling of their island’s nutrient rich interior to western interests. 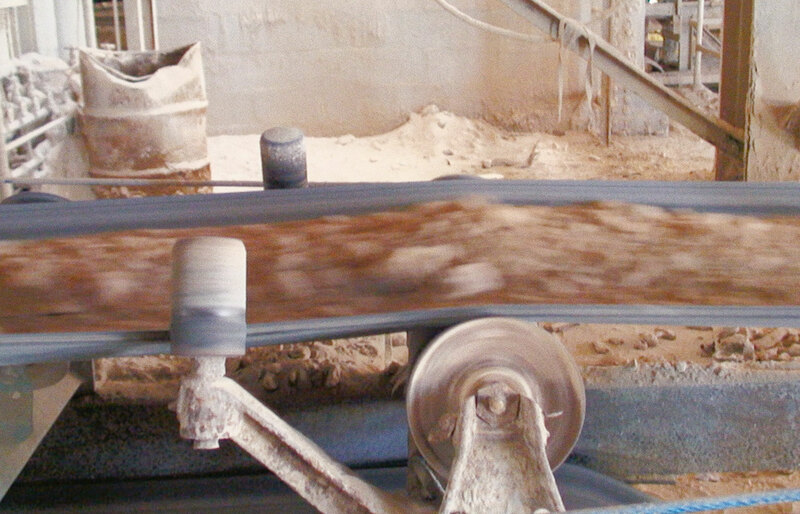 Agriculture-phosphate. 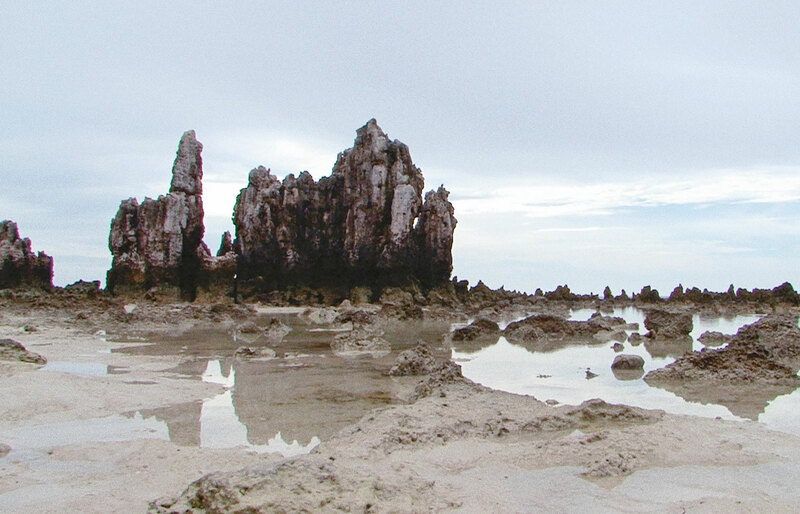 The pinnacles were erected as a symbol of prosperity, but in 2004 when Nauru House was sold to pay off the island’s national debt, they were torn from their podiums and removed from the site. By locating and purchasing a section of the pinnacles from the private owner who came to possess them, a homage to Dowiyogo’s project and the dying island itself was completed. 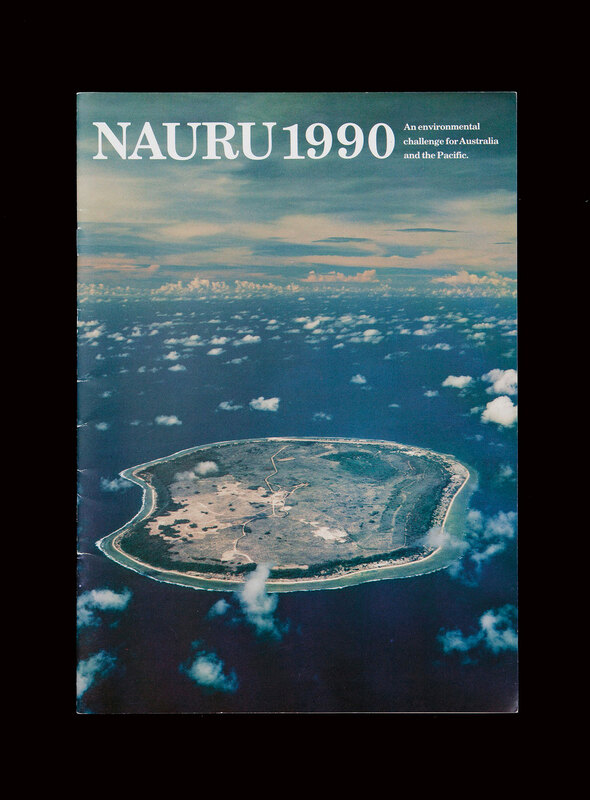 Front cover of Nauru 1990: An Environmental Challenge for Australia and the Pacific, produced for the Government of the Republic of Nauru by Helen Bogdan and Associates in Melbourne, 1990. Reproduction photographer: Andrew Curtis. 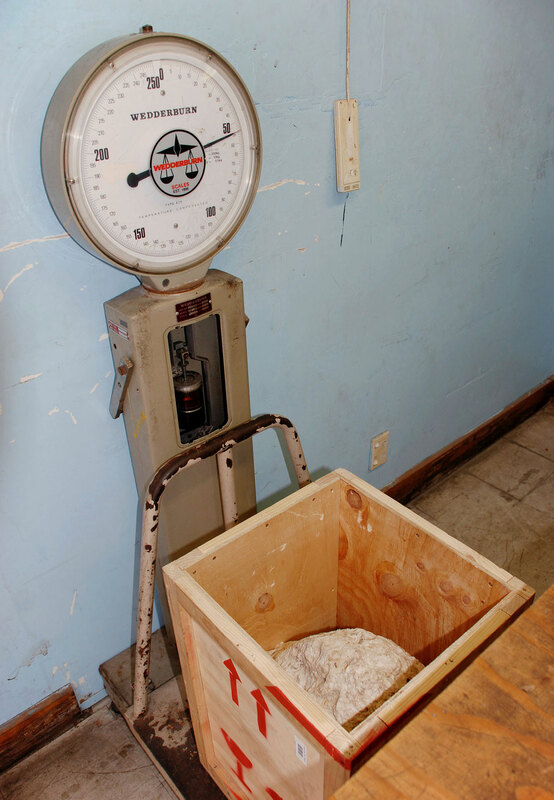 Coral limestone sample being weighed at Nauru International Airport in Boe, Nauru prior to departure, 2009. Photographer: Nicholas Mangan. 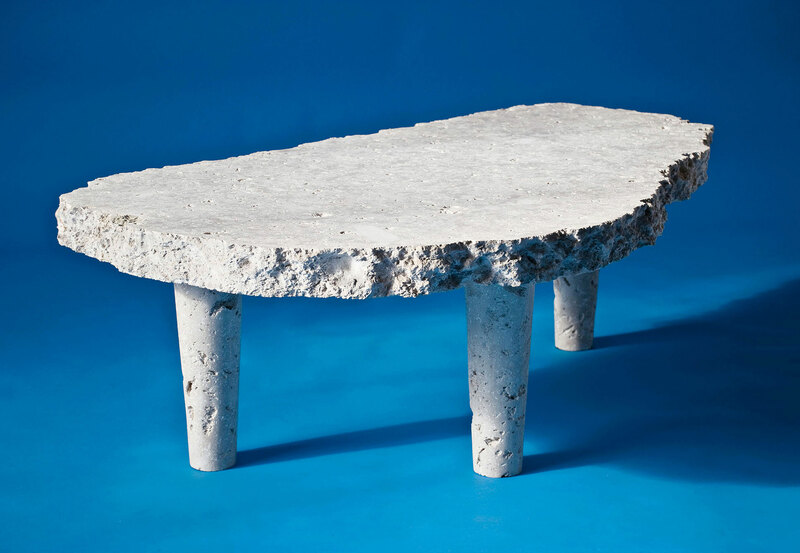 Nicholas Mangan, Dowiyogo’s Ancient Coral Coffee Table, 2010, coral limestone from the island of Nauru, 120 × 80 × 45 cm. Photographer: Nicholas Mangan. Michael Buxton Collection. 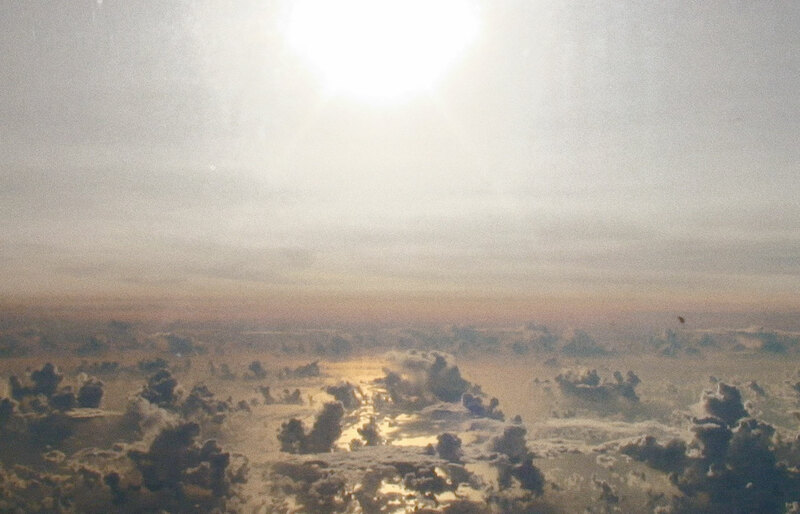 Nicholas Mangan, Nauru—Notes from a Cretaceous World, 2010, HD video, colour, sound, 14:50. 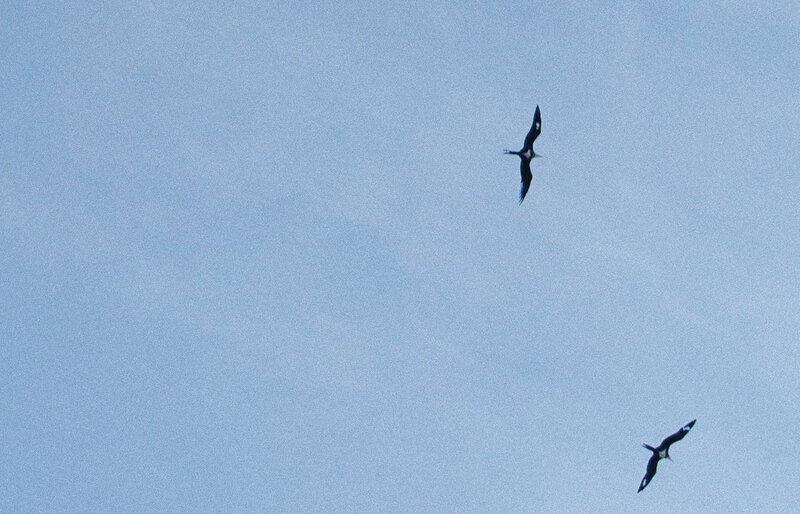 Nicholas Mangan, Nauru—Notes from a Cretaceous World, 2010. 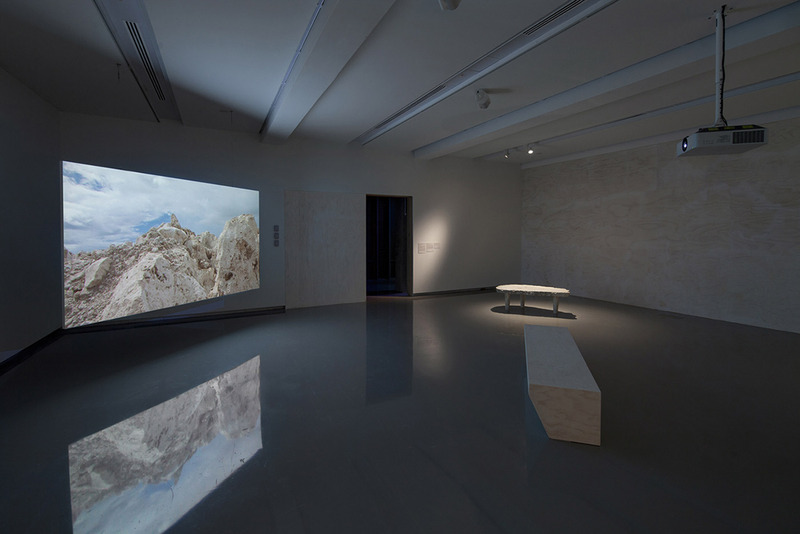 Installation view, Monash University Museum of Art, Melbourne, 2016. Photographer: Andrew Curtis.